The Luxury Travel Bible has fallen down the rabbit hole and dined like the Queen of Hearts. 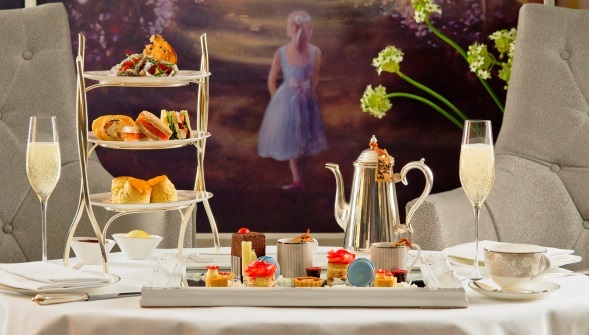 The new afternoon tea at luxury London hotel, the Conrad St James is a celebration of all things ‘Alice’. 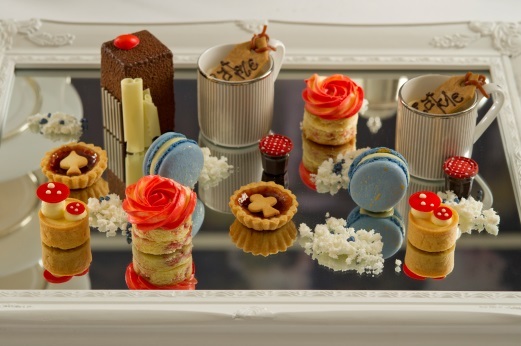 The new ‘Alice in Wonderland’ themed Afternoon Tea menu created for the 150th Anniversary of the famous book. We were welcomed to our seats and chose our tea of choice from the extensive menu. The tea features all the staples of any luxury afternoon tea; delicious savouries (TLTB just had to order seconds of the smoked mackerel pate! ), scones, cream and strawberry jam (plus a delicious pink grapefruit curd). Following that, we experienced the quirky sweet treats designed by the extremely talented Executive Pastry Chef Zoe Wager and her team. The menu is a clever play on the most famous elements of the book, including mini toadstool tarts, macaroons and ‘Eat Me’ Earl Grey panna cotta - all served on a mirrored tray. Each cake was fun and unique in flavour and style … to complete the experience all we were missing from our table was a Mad Hatter! Our friendly and attentive server, Max ensured that our cups and champagne glasses were never empty for long. Afternoon Tea is hosted in the hotel’s beautiful and elegant Emmeline’s tea room, which has been decorated to reflect the theme of the tea. The beautiful mural features scenes from the story (look out for Alice!) and images of the London skyline. The Alice in Wonderland Afternoon Tea runs until May 11th and forms a series of limited edition themed teas which will run during the summer, including ‘Glorious Gardens’, ‘Summer in the City’ and ‘Autumn Bramble Afternoon Tea’.